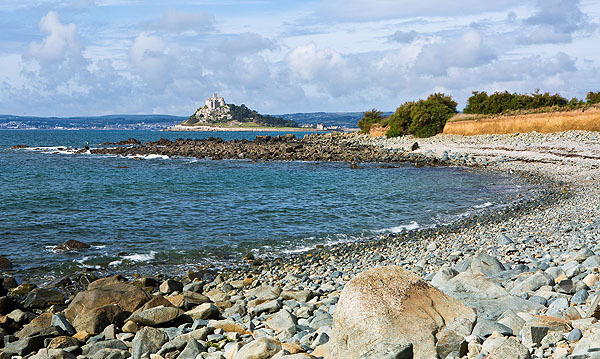 A view of St Michaels Mount from Trevelyan Cove / Boat Cove . In 1660 the Mount was bought by Sir John St Aubyn . During the 18th century the family established a permanent residence building a great new wing with impressive Victorian apartments. 1964 the property was given to the National Trust .